Curtis Fisher has practiced law for nearly thirty-five years, the last twenty years as a sole practitioner, focusing his practice on planning needs of families and individuals. Mr. Fisher brings a wide range of life experiences to his work. Mr. Fisher was born in Sand Springs, Oklahoma and has lived in Oklahoma most of his life. He and his wife Shonda have been married for over 25 years raising three children in Jenks, Oklahoma, and they have four grandchildren. Mr. Fisher is a member of the Oklahoma Bar Association, Tulsa County Bar Association and Tulsa Title and Probate Lawyers. 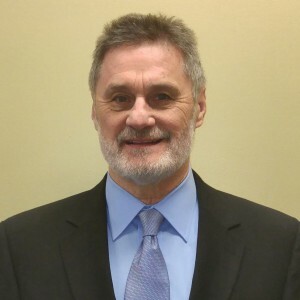 Mr. Fisher received his Juris Doctor degree from the University of Tulsa School of Law in 1981, Bachelor of Science degree from Phillips University in Enid, Oklahoma in Sociology / Anthropology in 1971, and Master of Arts degree in Criminal Justice from the State University of New York at Albany in 1972. His work experience includes counselor and institutional superintendent for the Oklahoma Department of Corrections and full time Professor of social sciences at Tulsa Community College. Mr. Fisher’s philosophy of estate planning is anticipation of and preparation for predictable life situations. His background, education, and wide range of work experience prepares him for clients’ real life situations. Questions can be a warning of problems the client may not know they have, or problems they can avoid. Preparation is always better than waiting for life to simply happen. Mr. Fisher currently practices in Tulsa and the surrounding area. The Fisher Law Office, PLLC provides legal service to clients in Tulsa, Broken Arrow, Owasso, Jenks, Bixby, Claremore, Sand Springs, Pryor, Sapulpa, Bartlesville, Tulsa County, Rogers County, Washington County, Wagoner County, Mayes County and Creek County, among others. To begin discussing your case in a free initial consultation call 918-742-5004.